It was in 1712, in the small village of Walkern, Hertfordshire, a woman in her seventies was accused of being a witch: her name was Jane Wenham. Jane had been married twice already, however both her husbands had died leaving Jane to endure a life of crippling poverty in a place where many around her suspected she had had a supernatural hand in their deaths. It was unsurprising then, despite decades having passed since the initial trauma of the witch hunts, that accusations of witchcraft swiftly followed. The tale of Jane Wenham inevitably varies in its details with each telling; however some things do not change. At its core, it is a story of strength in the face of overwhelming adversity and the trials that are faced when one has been identified as “the other” in a community. This is something that still, over three hundred years later, is resonant in today’s society. With the government’s current fixation on immigration and the poor ever present in our media outlets, as well as the issue of sexism still being as relevant today as it has always been, it is strangely cathartic to see the release of a play that deals with ideas of witch-hunts. 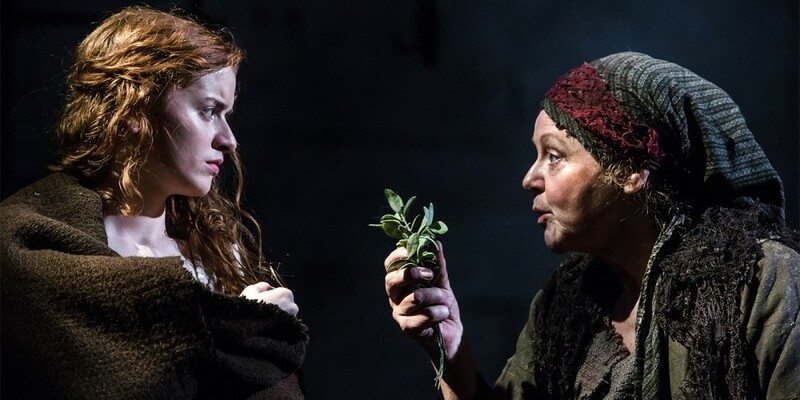 When I spoke with the play’s author, Rebecca Lenkiewicz, earlier today she shared her thoughts on why this play, set in the 18th Century, is so relevant to a 21st Century audience. Lenkiewicz revealed that, although the production of the play had not been the result of her “burning to write” the story, when Out of Joint – along with the University of Hertfordshire – approached her, it was like “a coming together.” It seems that this coming together was some kind of providence as, throughout our conversation, it becomes clear that Lenkiewicz’s passions and frustrations with society are perfectly matched with the themes explored throughout this story. One such matter interrogated in the play is the role of men throughout the witch trials – and Jane’s own persecution – as accusers, judges and eventually executioners of those charged with witchcraft.